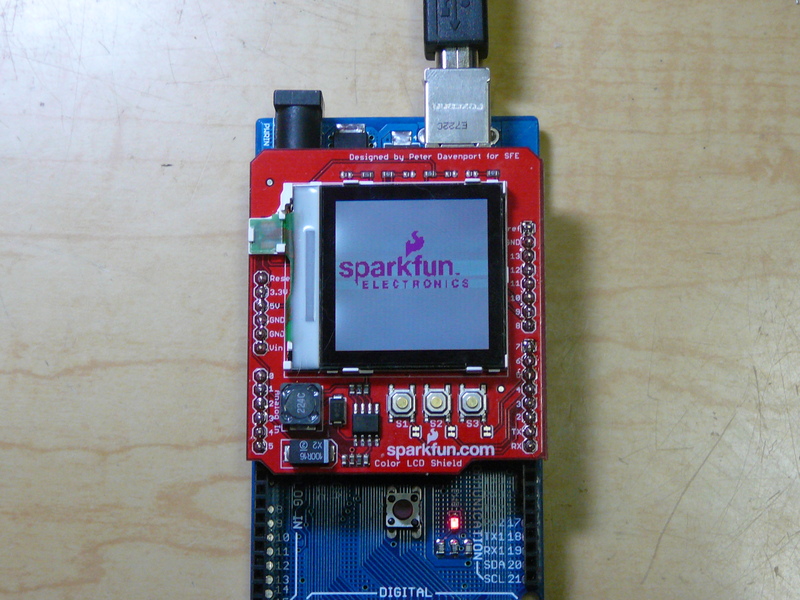 The Sparkfun Color LCD Shield LCD-09363 did not have Arduino compatible code. 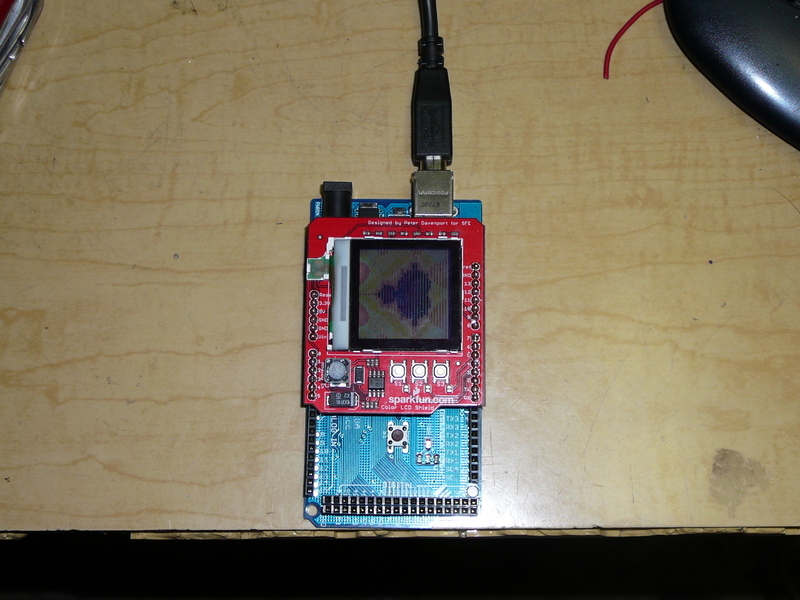 I have modified the drivers to work fully under the Arduino environment. I have it fully working on both the Duemilanove and the mega. When you load the demo, make sure you push the buttons.